Radiographs (X-rays) are extremely helpful for diagnosing and monitoring many medical and surgical conditions. X-rays are useful in examining your pet's bones, lungs, heart, abdomen, oral cavity and other areas of the body. An x-ray can spot a fractured bone, detect tumors, help with the diagnosis of heartworm disease or locate an obstruction or foreign body in your pet's intestine or stomach. When used in conjunction with other diagnostic procedures like ultrasound, x-rays can accurately diagnose problems, making treatment faster and easier for your pet and your veterinarian. 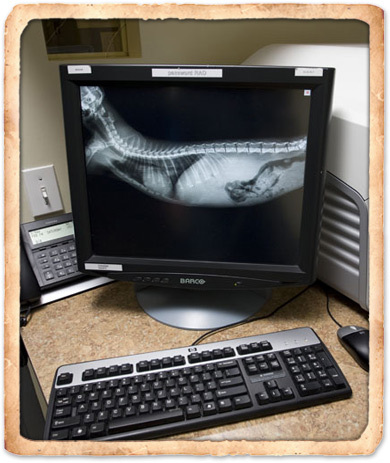 In order to provide your pet with the best medical care, One Love Animal Hospital uses the latest in computerized radiology equipment as part of your pet's diagnostic care. Digital radiographic images offer far more detailed images and offer a range of features that enhance our ability to make an accurate diagnosis. This tool also reduces the exposure of your pet (and our staff) because fewer images need to be taken, and digital radiographs, which do not have to be developed, are safer for the environment. They can also be easily submitted to a board certified radiologist for timely second opinions. 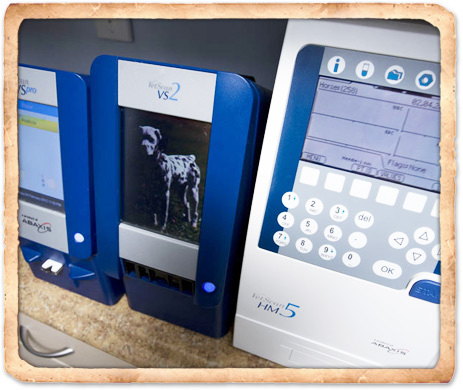 One Love Animal Hospital utilizes modern ultrasound technologies and up-to-date ultrasound assisted procedures. In certain complex cases, we can bring a specialist onsite to read or perform ultrasound studies. Ultrasound is a pain-free, completely non-invasive technique that uses high-frequency sound waves to produce a real-time image of your pet's internal organs. Often considered more exact than radiographs, ultrasound provides a movie of what is happening inside your pet's body. This procedure is particularly useful in viewing your pet's abdominal organs including the spleen, kidneys, liver, and gallbladder. It can also be used to evaluate heart functions, do bladder scans and image other areas such as the thyroid gland, testicles and mammary glands. Ultrasound also works well in conjunction with other diagnostic tools and a wide range of diagnostic procedures. For example, if an X-ray shows a lesion in your pet, an ultrasound may be able to determine the origin of the lesion and whether it has spread elsewhere in your pet's body. Using the ultrasound image as a guide, surgical biopsies can be obtained without major surgery and your pet can often go home the same day. Ultrasound imaging can reveal cancer, heart lesions, enlarged spleens, and many other conditions. Ultrasounds are typically not stressful for your pet and take anywhere from 30 to 60 minutes to perform. Ultrasound is used for standard scanning procedures. Full abdominal ultrasound are performed at One Love Animal Hospital on an appointment basis only. Collect biopsies of the stomach and intestines. Chronic or recurrent otitis (ear infection) is a common and frustrating disease. At One Love Animal Hospital, we use a comprehensive approach to identify and manage all predisposing factors, primary causes, and perpetuating features in each case. Identifying the underlying cause is the key to successful therapy. We also perform ear flushes. Arthroscopic procedures encompass minimally invasive surgical procedures that are used to diagnose and treat problems with your pet's joints. A small, thin optical instrument is inserted through a small skin incision into the affected joint which provides access and a detailed visualization. A video camera attached to the arthroscope displays and records the magnified image of the joint on a video monitor. Performing preventative medicine, as well as diagnosing emergent internal health issues, requires the ability to perform a wide range of laboratory tests on blood, urine, feces, and biopsied tissue. Without timely access to precise laboratory test results – blood testing, biopsies, microscopic examinations, bacterial culture sensitivity, and more – it is difficult to make an accurate diagnosis or assessment of your pet's health. 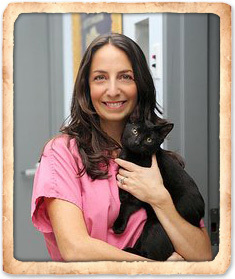 One Love Animal Hospital has a complete in-house laboratory. In many cases, our sophisticated instruments and diagnostic capabilities allow us to receive results within minutes. For example, diagnostic testing can detect heartworm disease, Lyme disease, infections, feline leukemia, intestinal parasites, urinary tract infections, and many additional diseases and conditions that can go unnoticed in their early stages. Early blood testing can show evidence of disease such as diabetes, changes in liver or kidney function, or simply provide a baseline for future reference. Diagnostic testing is also included in pre-anesthetic screenings prior to dental or surgical procedures that require general anesthesia. Annual wellness blood and urine tests, along with other diagnostics, assist our veterinarians in the early detection of diseases and health conditions.